What Would Jesus Eat? details the health benefits of the diet that Jesus ate. 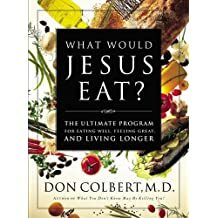 Dr. Don Colbert shares information such as why certain foods forbidden in the Old Testament are unhealthy, Jesus' favorite foods, the health benefits of the foods Jesus ate, as well as the health risks of the foods that Jesus avoided. 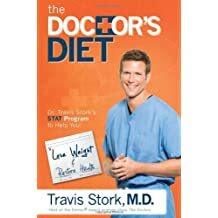 The Doctor's Diet by Travis Stork, MD is "the cure for unhealthy eating" and outlines steps to a healthier life. Dr. Stork offers a diet that will help readers prevent disease, restore health, lose weight and add years to their lives. He shares food groups that act as medicines to get an immediate result. Also included are recipes for a variety of diets - from meat lovers to vegetarians.